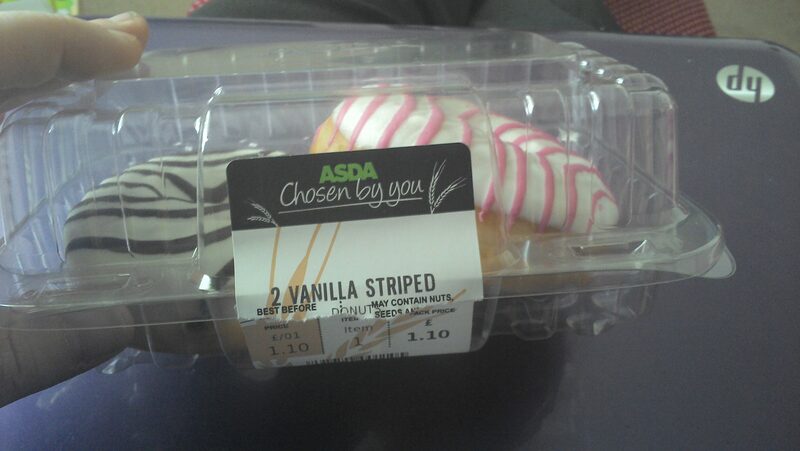 A couple of days ago, I bought a new type of donut that is now being sold by Asda. There are two different types: vanilla striped and strawberry striped. Priced at £1.10 for 2, they are also on offer at the moment at 2 boxes (with 2 donuts in each) for £2. So, in order for me to give these a real trial, I just had to buy one of each. The picture above shows the box of the vanilla striped donuts, but inside I have already eaten one of those, so I replaced it with a strawberry striped one. Don’t they look absolutely yummy?! 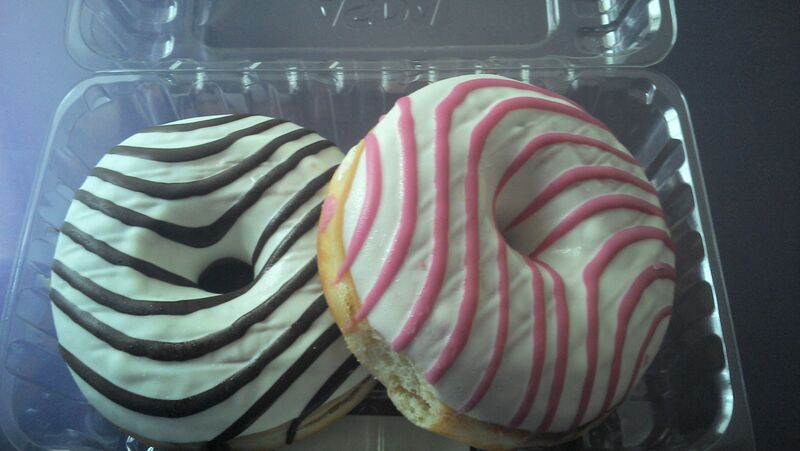 The vanilla one is shown on the left, with chocolate glaze, and the one on the right is the strawberry donut. But obviously, that did not need an introduction. The smell when you open the box is divine. The vanilla, mixed with strawberry is something that I just couldn’t explain. I just wanted to shove my face in there… Ha ha. 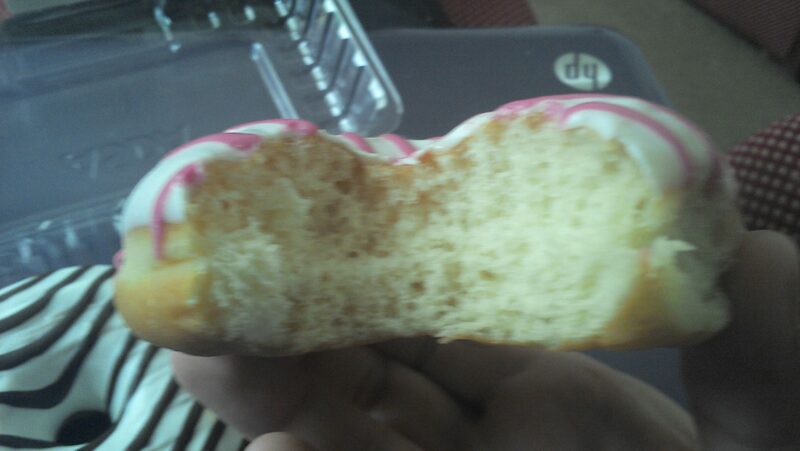 Sorry for the bad photo there, but you can see that the texture of the donut is more like bread rather than the average donut. My mark for the strawberry is 8/10. The flavouring is perfect, but the donut is dry. Once again, the chocolate overpowered what little vanilla there was, and the “bread” was dry.